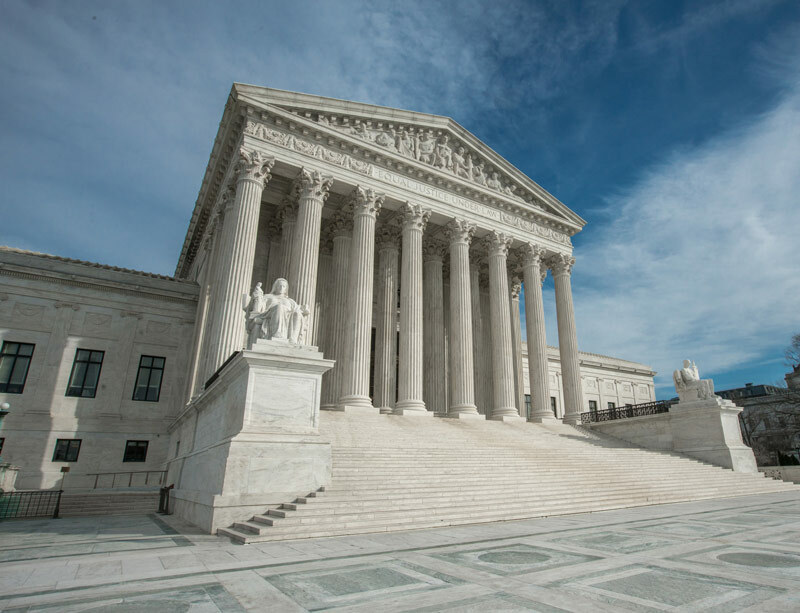 The U.S. Supreme Court on Wednesday will hear a product liability case filed by widows of Navy sailors seeking to recover damages for injuries related to asbestos exposure. It will be the third case on the docket for Justice Brett Kavanaugh, who was sworn in Saturday by Chief Justice John Roberts and retiring Justice Anthony Kennedy. The asbestos case, Air and Liquid Systems Corp. v. DeVries, involves a group of Navy sailors who developed mesothelioma from asbestos exposure. Defendants include Air & Liquid Systems and other large companies that manufactured equipment used by the Navy. Equipment sold by the companies typically had asbestos insulation added by third-party companies (now bankrupt) after the Navy purchased the machinery. The companies designed the equipment for use with asbestos insulation, a common building material in Navy ships for much of the 20th century. The machinery would not have functioned safely without the asbestos insulation. Injuries that occur at sea are typically outside of the territorial boundaries of any particular state. These cases fall under general maritime law where the ultimate authority is the Supreme Court. Maritime cases are unique to the Supreme Court because there are no statutory or constitutional texts to interpret. Rulings in these cases are guided by past decisions on maritime questions. Kavanaugh and the rest of the Supreme Court must decide whether the companies can be held liable under maritime law for injuries caused by asbestos they did not make, sell or distribute. The U.S. Navy and other branches of the U.S. armed forces are not liable for the conditions of military vessels. Veterans and their loved ones who develop asbestos-related diseases linked to military service generally file lawsuits against the companies that supplied the asbestos materials. Attorneys for the widows argue that while asbestos insulation was added after the sale to the Navy, the manufacturers knew asbestos was required for the machinery to safely function. Advocacy groups, such as the Environmental Working Group and the Asbestos Disease Awareness Organization, have expressed concern over the appointment of Kavanaugh to the Supreme Court. In an August op-ed, EWG questioned if Kavanaugh would protect workers and consumers from dangerous health hazards such as asbestos. The group cited past rulings by Kavanaugh as a judge on the U.S. Court of Appeals for the District of Columbia Circuit where he voted or argued against environmental issues such as mercury pollution, air pollution and water pollution. In June, the Environmental Protection Agency announced a Significant New Use Rule that may open the door to new uses of asbestos after review from the agency. U.S. Sen. Tom Carper, D-Del., spoke on the Senate floor October 5 in opposition to Kavanaugh’s nomination. In his speech, he highlighted the greatest threat Kavanaugh may pose is with respect to the environment, based on the judge’s 12-year record on the bench. In addition to the Navy asbestos exposure case, Kavanaugh will be a part of Supreme Court deliberations this week about immigration and the Armed Career Criminal Act. Mann R. (2018, October 3). Argument preview: Maritime dispute presents opportunity for justices to grapple with basic tort rules. Supreme Court of the United States. (n.d.). BRIEF OF EVELYN HUTCHINS, FLORA EVERETT, AND JAMES T. MCALLISTER AS AMICI CURIAE SUPPORTING RESPONDENTS. Supreme Court of the United States Blog. (2018, October 2). Air and Liquid Systems Corp. v. DeVries. Wolf, R. (2018, October 6). Brett Kavanaugh's first cases will include immigration, asbestos exposure and firearms. Benesh, M. & Faber, S. (2018, August 24). Will Brett Kavanaugh Keep Asbestos Legal?